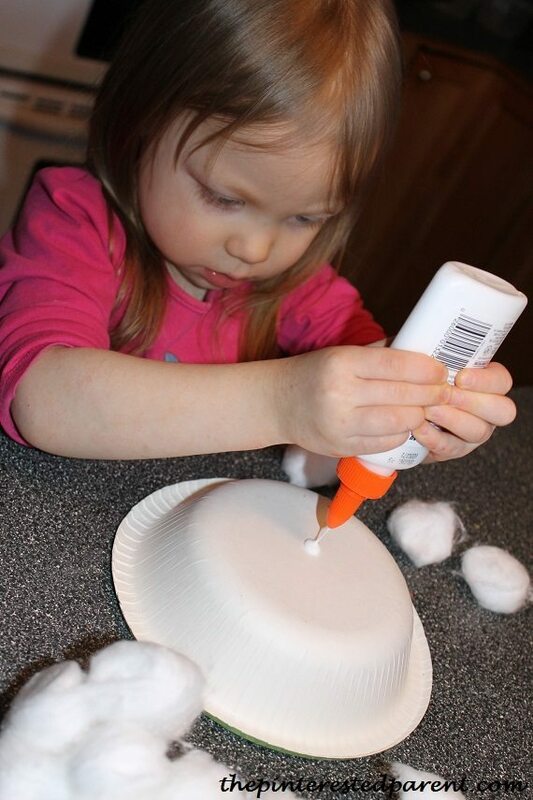 My daughter loves crafts that allow her to play with glue. We have bottles of glue in our house & she just loves getting her paws on them whenever she gets a chance. 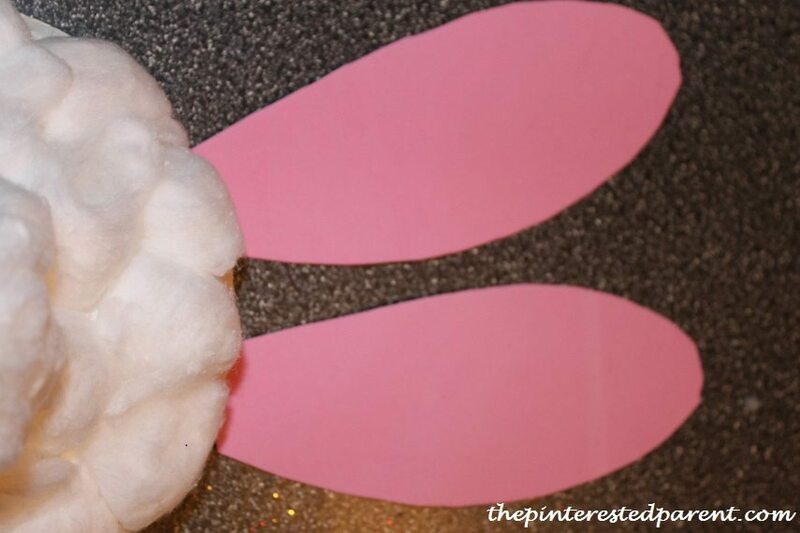 Tonight I thought we could make little bunny bottoms. 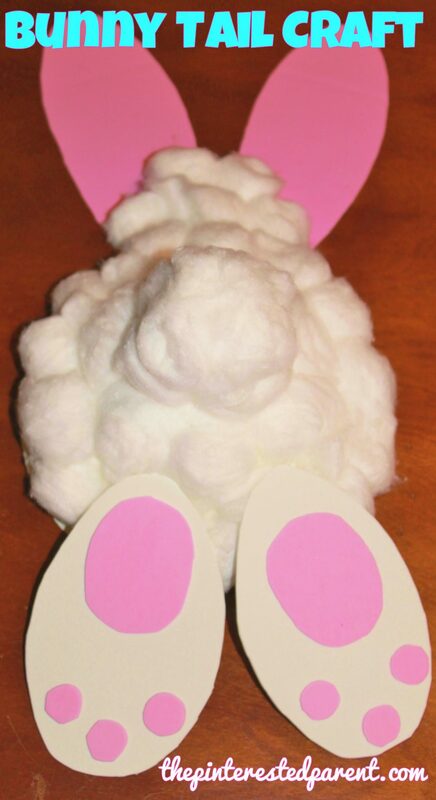 It would give her a chance to use some glue & play with fluffy cotton, which I thought she would love. 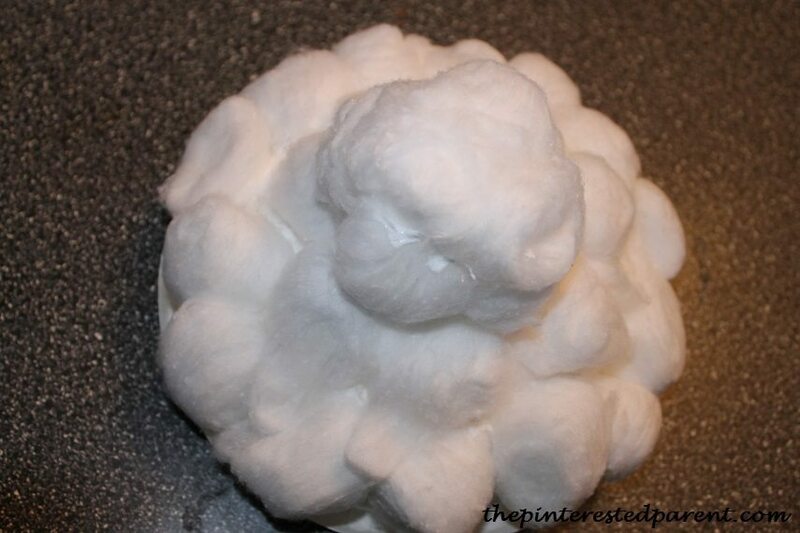 Glue cotton balls all around the bowl. 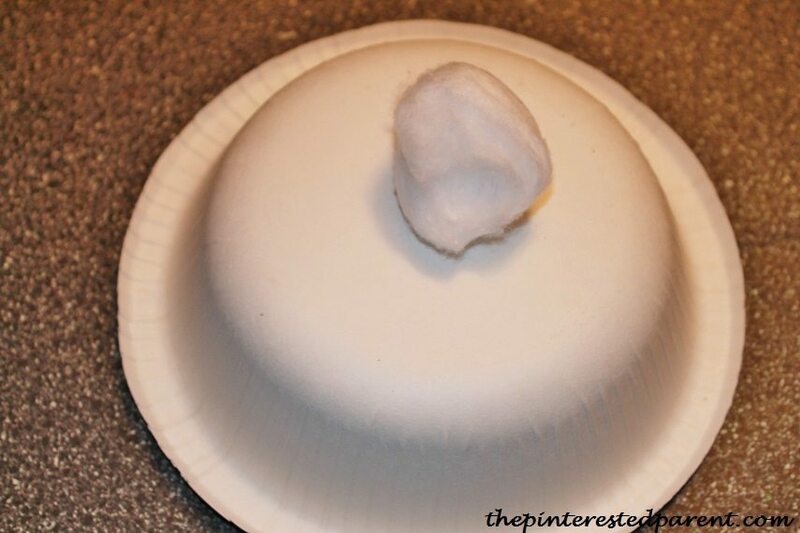 After you have covered the bowl, add extra cotton to the middle to form the bunny tail. Cut out two ovals for the foot paws. 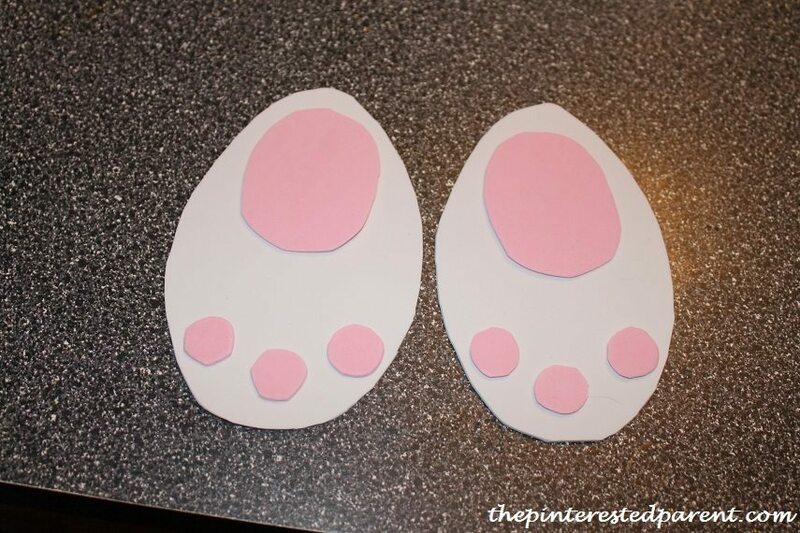 Cut out a pink oval & 3 circles for each foot & then glue them into place to form the bunny paws. 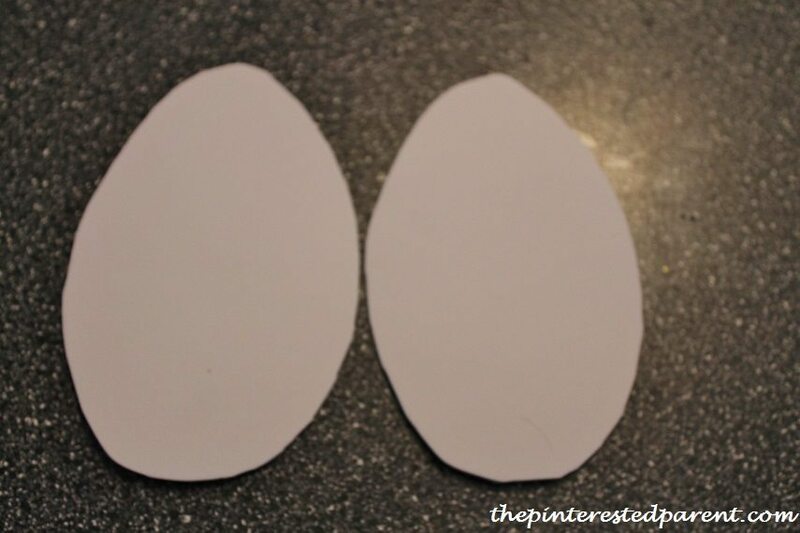 Cut out ears & glue them under the bowl in place. Glue the feet into place & let dry. To be honest, Mai did not take to this craft. When I told her that we were making bunny bums, she laughed. She grabbed her bowl & grabbed her glue. She added one cotton ball to the middle of the bowl & said “I done, mama.” That looks great too, baby. Hahaha – face-plant bunny! Very cute.